Burns is chairman of Editora Latin Trade since 2016 and of Latin Trade Group since 2008. Burns is also general partner at Isis Venture Partners, a private equity firm he co-founded in 2002. Isis Venture Partners’ holdings include Miami Media and Manhattan Media, publisher of Avenue magazine and specialty publications in New York City and the Hamptons. Burns previously served as president and CEO of Thomson Financial Media, a division of Thomson Corporation. Before joining Thomson, he was president and CEO of Euromoney Publications America, where he served as CEO and publisher of Institutional Investor as well as president and editor-in-chief of Latin Finance. He has served as a director on several corporate boards, including 24/7 Real Media and Interaudi Bank, and since 2007 has been an ex-officio member of the Board of Trustees of the American Museum of Natural History. He is a member of the Board of the Carnegie Hall in New York. Burns was educated at St. John’s College, Oxford, the Ludwig-Maximilians Institute at the University of Munich, and Columbia University’s Graduate School of Journalism. Santiago Gutiérrez is the Executive Editor of Latin Trade Group, responsible for both the print and digital editions of Latin Trade. He is an award-winning journalist, having received eight journalist prizes, including Colombia’s prestigious Premio Nacional de Periodismo Simón Bolívar, a Citigroup Journalistic Excellence Award, and three-time winner of the Premio Anif de Periodismo Económico. Prior to joining Latin Trade, Gutiérrez covered the Andean region for Debtwire, a new and information service of the Financial Times Group, and was Director of Dinero.com from 2008 to 2011. Gutiérrez completed his PhD studies in Economics at the University of Minnesota, and took courses in Management and in Journalism at MIT and Columbia. He has worked extensively in economic research, and was vice president of the Colombian Bankers Association, in addition to serving on more than a dozen boards. Click here to begin a subscription for Latin Trade magazine, available both in print and online. 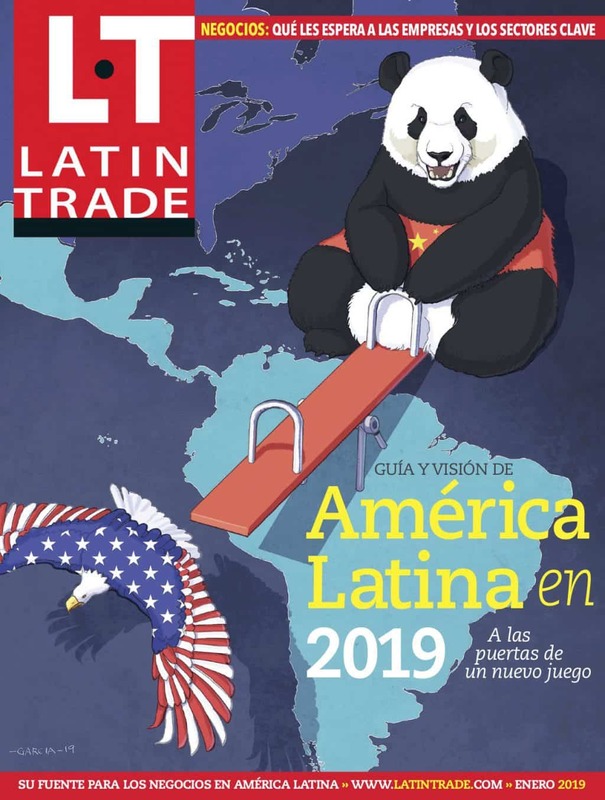 Click here to begin an online subscription to LT.com, with its extensive ranking, indices, and market intelligence on Latin America. Subscribe here to our free newsletter – getting the latest business headlines from Latin America in your inbox every day.